Founded in 1985, C. A. 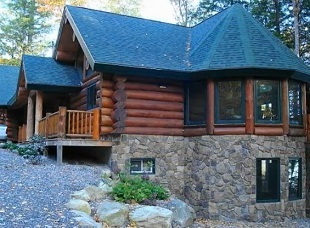 Construction is a leading Maine Builder of Tucker Mountain Log Homes. 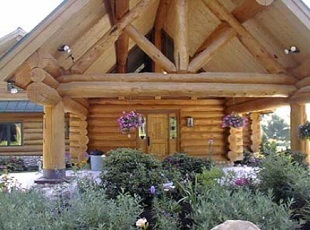 We offer a full range of services covering everything from planning your new log home through completion. Our reputation for delivering the highest quality of product and service is a constant and a critical element of our success. 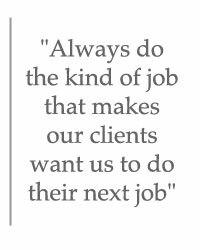 We have 30 years of experience in commercial and custom residential construction. 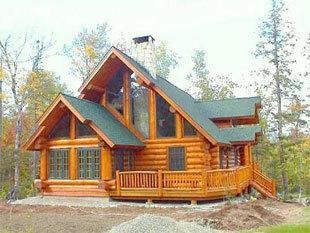 We've built new and remodeled homes throughout New England over the years and now specialize in custom log homes. 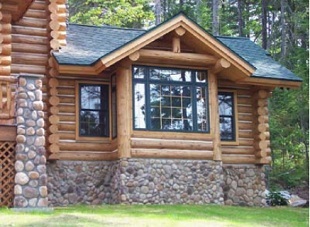 We also own Tucker Mountain Log Homes in Sullivan, Maine, where we hand craft and assemble custom designed log homes for our customers. Our services include planing, architectural design, site work and assembly, delivering a complete ready-to-move-in new home.